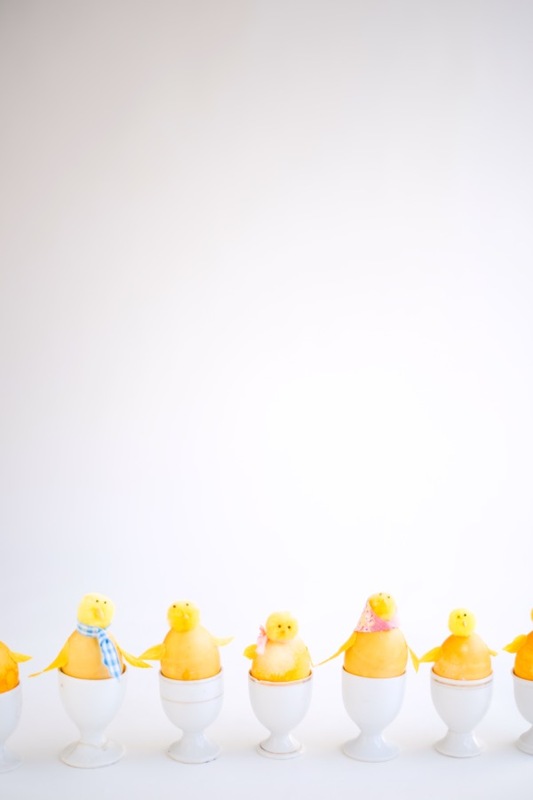 This fun family of chicks will brighten up any Easter table. They could also be used as place cards – just write names across the eggs with a colored Sharpie – or scatter them across a mantel for a sweet Easter display. 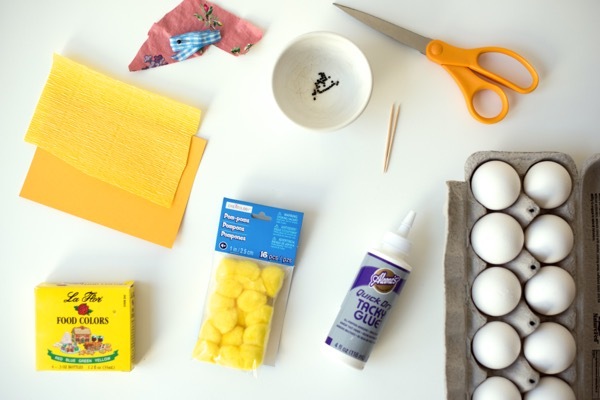 Materials needed: eggs, yellow food coloring , craft glue , a toothpick, yellow 1” pom poms , yellow cardstock , yellow crepe paper , tiny black beads , scraps of ribbon or fabric. Step 1: Starting with blown out eggs, dye eggs yellow. Let dry. Step 2: Glue one yellow pom pom on top of egg for the head. Step 3: Glue two black beads for eyes (use a toothpick or needle to place the bead in glue and then on the pom pom). Step 4: Out of cardstock, cut out a small triangle beak and attach below eyes with craft glue. Step 5: Out of crepe paper, cut out two wings. Step 6: Attach wings to egg with craft glue. Step 7: Tie a ribbon as a gentleman’s tie and slip it on the Dad egg. Cut a triangle at the end, so it looks like a real tie. Step 8: Cut a triangle of fabric for a kerchief for the Mom egg. Attach with craft glue. 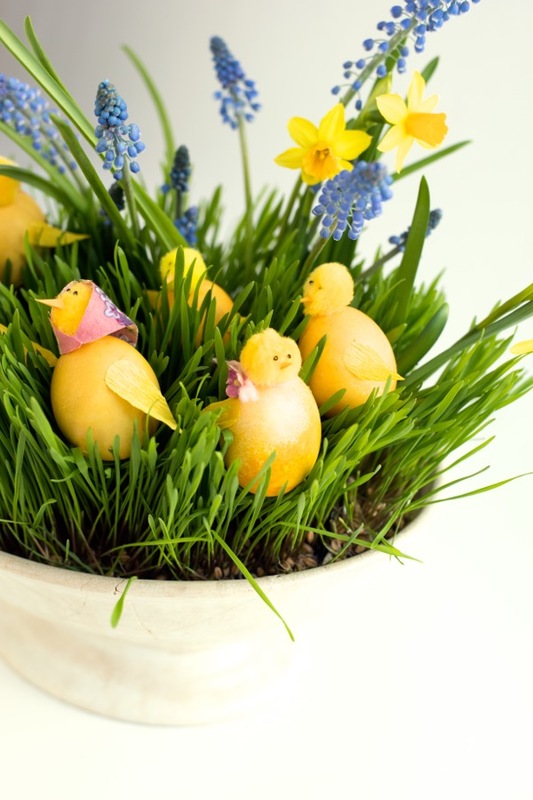 Embellish any other eggs with ribbons, scraps or miniature flowers. 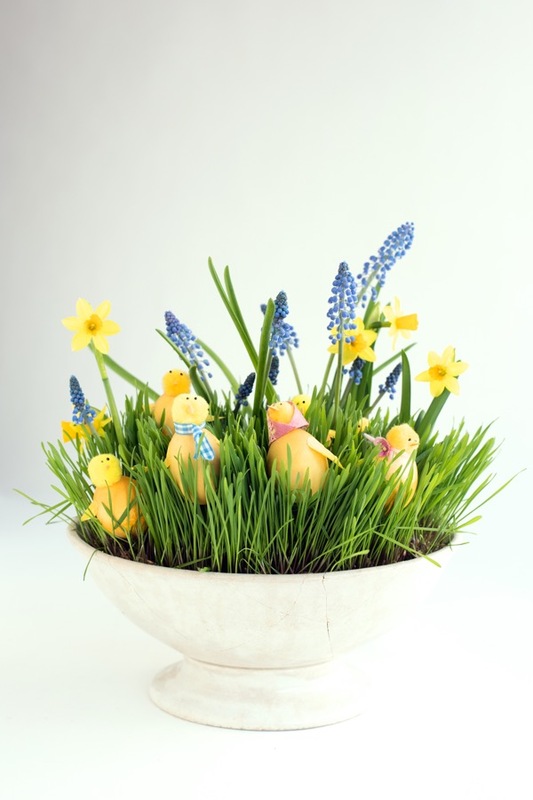 Step 9: Assemble the family in a basket or bowl as a Easter table centerpiece. I used real grass here, with some miniature daffodils and muscari, but you could also use cellophane Easter grass, and even crepe paper flowers, instead. Too cute! I love the little chicks with the headscarves! This makes me realize that Easter is this weekend! ahhh I need to hop to it! These chicks are soo cute! Love the little scarves you added to them! They might look cute, but for me it is strange to diy little chicks out of “never to be chicks” (the eggs). Plastic eggs may be an option. What a fun spring craft – it’s so cute! All the details are absolutely amazing. 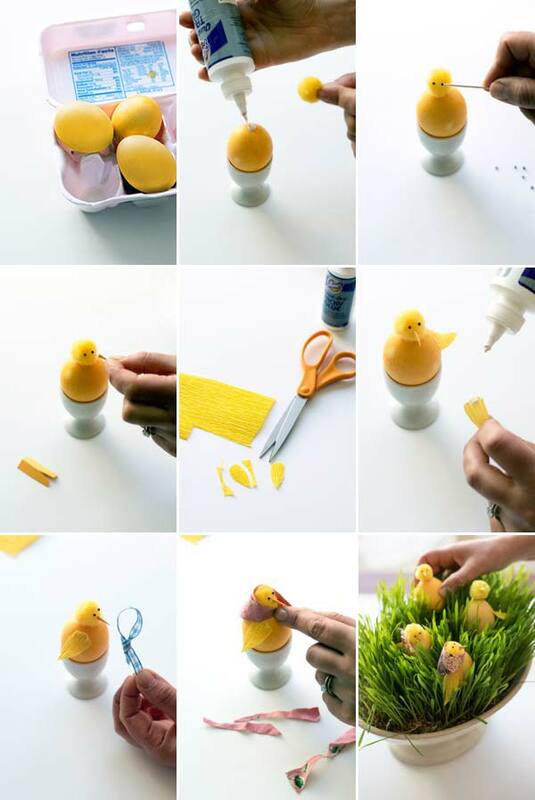 We can only imagine how much more fun it made decorating Easter eggs! PS. 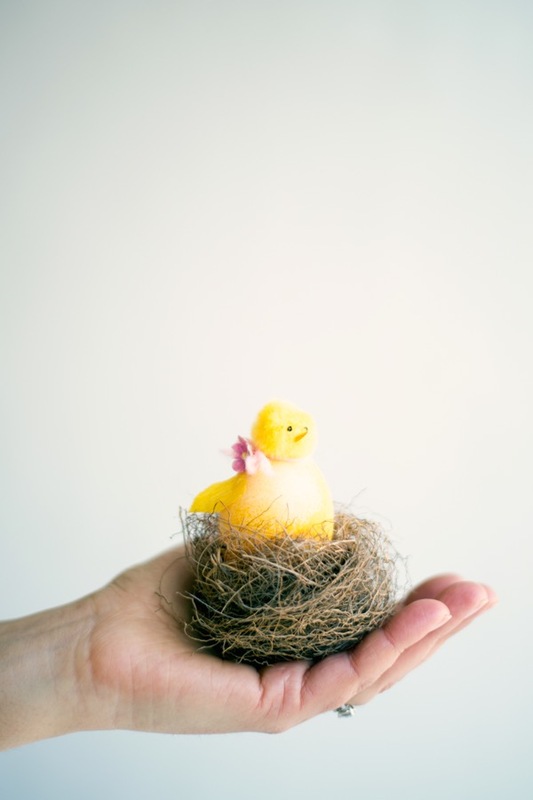 Happy Easter from all of us at Felt Ball Rug!